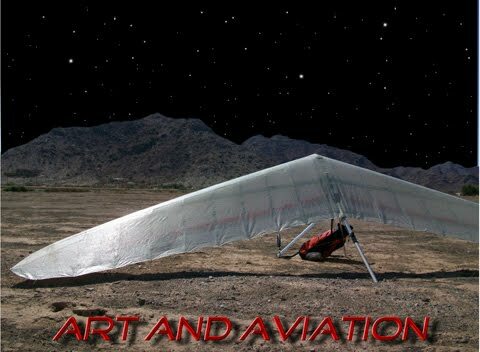 Art and Aviation: I made goal!!! I had one of my favorite flights the other day. For years now I have wanted to fly from Lookout and land at my Papaw's house in Ooltewah. I think it's about 40 miles so the distance isn't that great but the course line proves to be quite difficult by either going around the Chattanooga airspace or daring to go straight over with enough altitude. Once I got up and started over the back, the day looked like it was turning on to be great with clouds everywhere. I found another climb over the Chickamauga Battlefield and reached base again but then had a tough decision to make. There were no clouds along my planned route but there was a decent street going straight over the Chattanooga airport. To stay legal I would have to stay above 4,700 ft. MSL to miss the airspace restrictions. Also going this way there were little options to land if things didn't work out. After some consideration, I went for it; you only live once! The cloud street turned out to be working pretty well as I crossed over staying between 4,800 and 6,500ft. It was surreal watching a couple of ASA jets coming in to land under me. After reaching the end of this street I glided out into the blue hoping I was staying in a good line. Upon reaching the mall I was getting low and nervous with very few options to land. I scoped out the big parking lots at Home Depot and Lowes from 1,000ft but knew this would test my skill. I considered heading over to the new Volkswagon Plant but it didn't look real inviting. Looking ahead I saw a small patch of grass in front of the US Express trucking place off of I-75. I figured obstacles there would be more predictable so pushed forward. As I studied the power lines and slope of the terrain I grew more and more nervous knowing that this would need to be performed perfectly. Finally, at 700 ft I stumbled into some light lift and started cranking it up. Wow, was I relieved! I took this thermal back up to 5,500ft and headed out past the city limits and into the area that I grew up around. Cruising comfortably now I took time to just soak it all up. I flew over my high school. Then I noticed some of the hiking and biking trails that I spent hours on. I followed these and flew right over my old house and many memories flooded my mind. This part of the flight was simply awesome. Everywhere I looked I recognized something and it would remind me of some part of my childhood. I saw the lake up ahead and knew I had my Papaw's house on glide easy. As I arrived overhead I still had 2,500 ft so I started big lazy circles watching the yard for movement. This brought back memories as well. When I was 16 I would rent a Cessna and fly around solo building time for my private license. This usually included going over there house and messing with the throttle to get them to come out. As soon as they came out in the yard and waved I would rock my wings and go on my way. After circling for about 10 minutes with nobody coming out, I decided it was time to land. Housing development in Ooltewah has exploded so landing options weren't as great as I had thought. Still, I found a nice golf course just a half mile from Papaw's front yard and brought it in straight down one of the fairways for a soft landing. After getting over to his house and eating my Memaw's good cooking I took a quick shower and waited for Scott to show up with my truck. Thanks for picking me up man, definitely a huge favor. Scott is one COOOL dude!!!! Anyway, I wish I had a camera with me on the trip. It was the best seat in the house on a nice scenic tour over the area I have spent most of the last 31 years. Chattanooga is a beautiful place, especially from the air. Yea, WHATEVER, so I get stuck being your driver, AGAIN. Real cool. I flew that day! and three times the day before, two different wings. Great flight, but you only flew one kinda glider. Maybe I am cooler than you. wonder how cool the FAA would think this flight was? YOU THE MAN!!! I meant the FFA,( future farmers of America) cause they could see all the farms from a new perspective. You really thought about a parking lot near the mall? You and your CRAZY SKILLS!